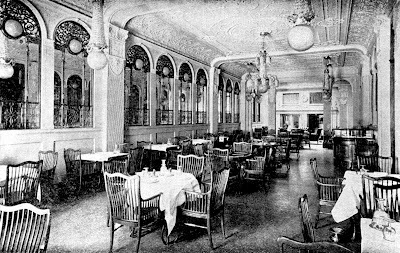 Situated near the reading room with its massive leather chairs, the Café shown below featured a distinctive row of columns with relief designs made of papier-mâché. The Gilt Room, an exact reproduction of the famous room in the London mansion, was used for banquets and other social functions. Located in the basement, this room was wainscoted with panels displaying elaborate heraldic devices. 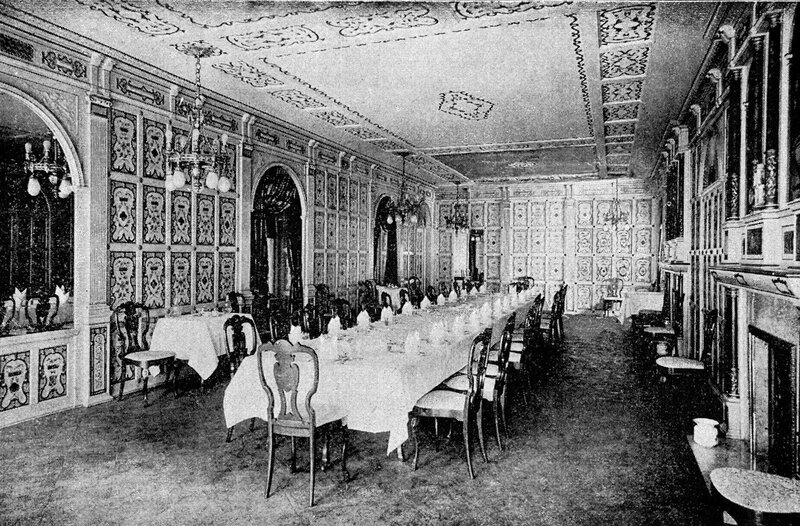 Holland House operated on the European Plan, meaning that the meals were not included in the cost of the room.5 The daily menus were printed in English on one side and French on the other. This bilingual format, which was then becoming a common practice at luxury establishments, offered diners the benefit of being pretentious without the inconvenience, and possible embarrassment, of struggling with French. 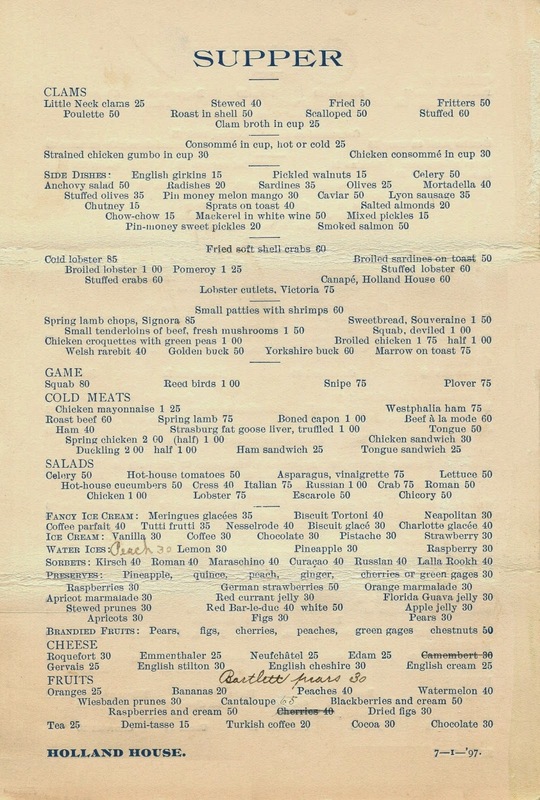 The prices on the supper menu below are about a third higher than most hotels. Dated July 1, 1897, this bill of fare features a salad of hot-house tomatoes for fifty cents, twice as much as a salad of field-ripened tomatoes would cost a few weeks later. Despite such luxuries as the Strasbourg fat goose liver with truffles, this menu basically reflects the standard English-oriented cuisine of the times. 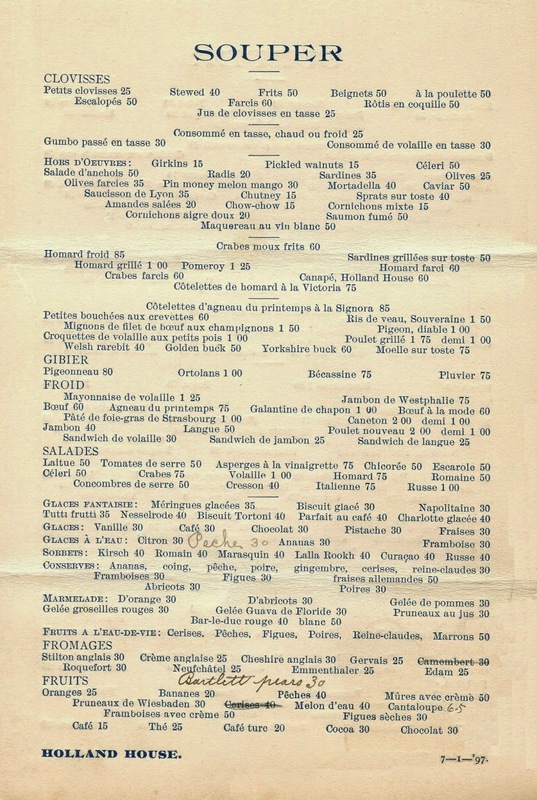 It was the high prices that mostly differentiated this menu from the others. Later that year, the 17-story Astoria Hotel opened at 34th Street. 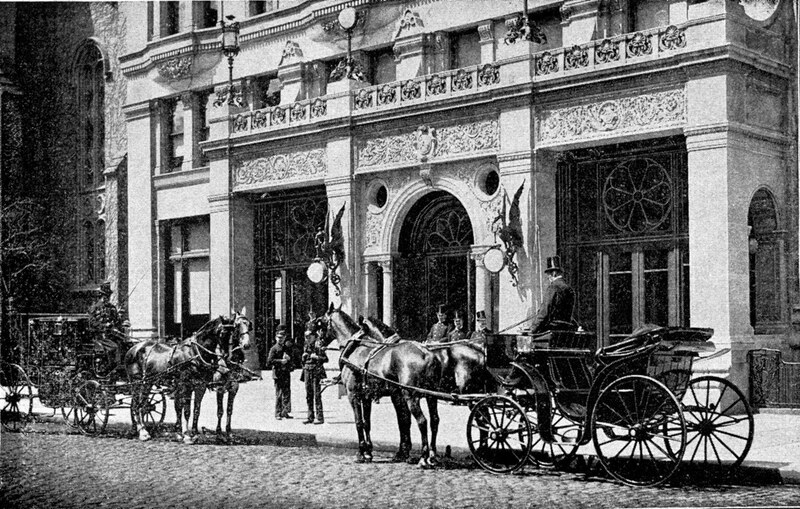 For a brief period, there were three luxury hotels operating on this stylish half-mile section of Fifth Avenue, until the Astoria was connected to the 13-story Waldorf next door. 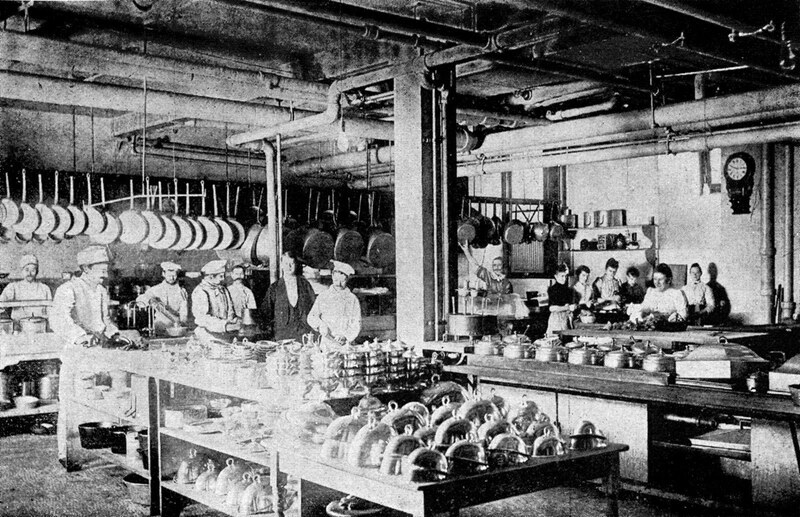 Christened the Waldorf-Astoria, the new hotel, now the largest hotel in the world, was designed to serve the needs of the rapidly-expanding upper class. Among it forty public rooms was the crystalline Palm Garden, densely packed with tropical foliage, where the social custom of having afternoon tea came into vogue. 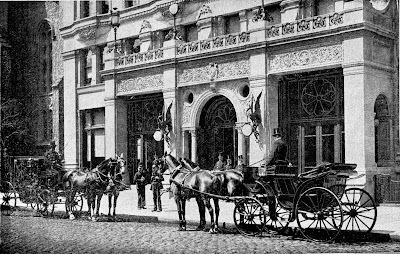 In the late 1890s, the new Waldorf-Astoria and the Holland House reigned as the most fashionable hotels in New York. 2. New York Times, 6 December 1891. 3. 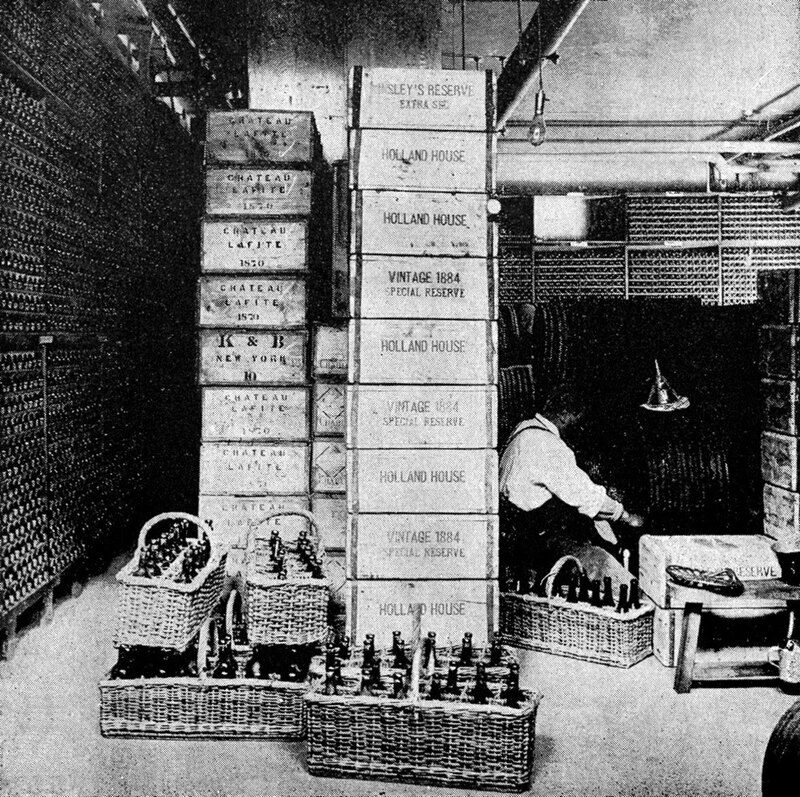 The wine estate, awarded First Growth status in the classification of 1855, is located near the village of Pauillac in the Médoc region, northwest of Bordeaux, France. It was purchased by Baron James Mayer Rothschild in 1868, three months before his death. 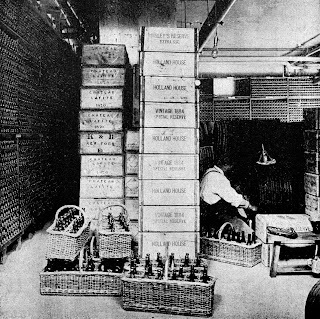 It became the joint property of his three sons and was eventually renamed Château Lafite Rothschild. 4. The union claimed to have 800 members, out of an estimated 3,000 hotel waiters working in New York. New York Times, 17 April 1893. 5. 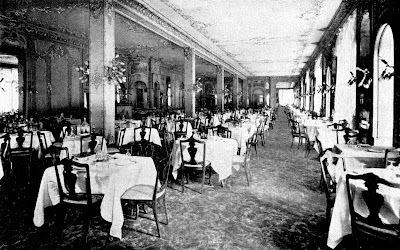 When the hotel opened in 1891, the cost of a room was two dollars a day, and up. 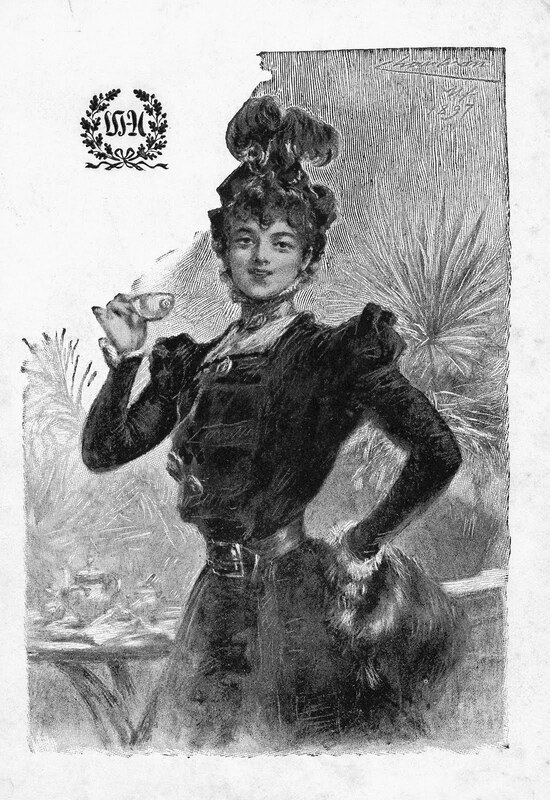 Holland House, promotional brochure (1892).